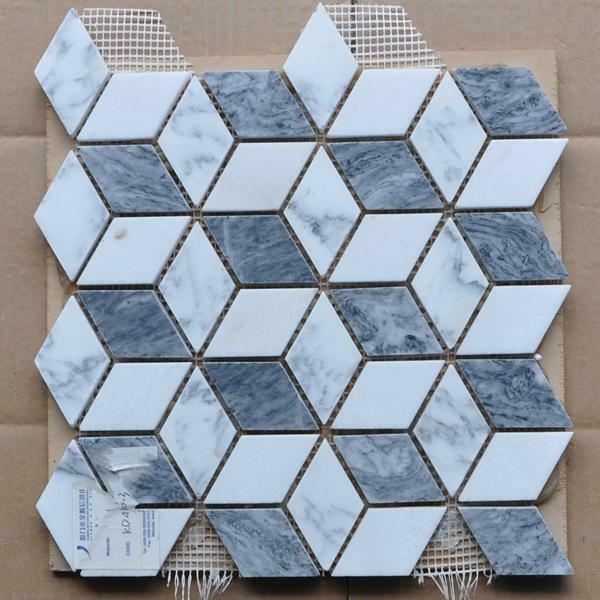 Cubic Grey White Marble Mosaic are excellent material and widely used in houses, villas, yard buildings, holiday villages and other public buildings. As we have been in this line for many years, all the products are of unique style and fashionable patterns. It makes people feel that they have returned to nature. What is more, it makes our living environment more elegance. Art mosaic pattern wall have endless uses and infinite possibilities to fit your individual style! It enjoys fast sell both at home and abroad. 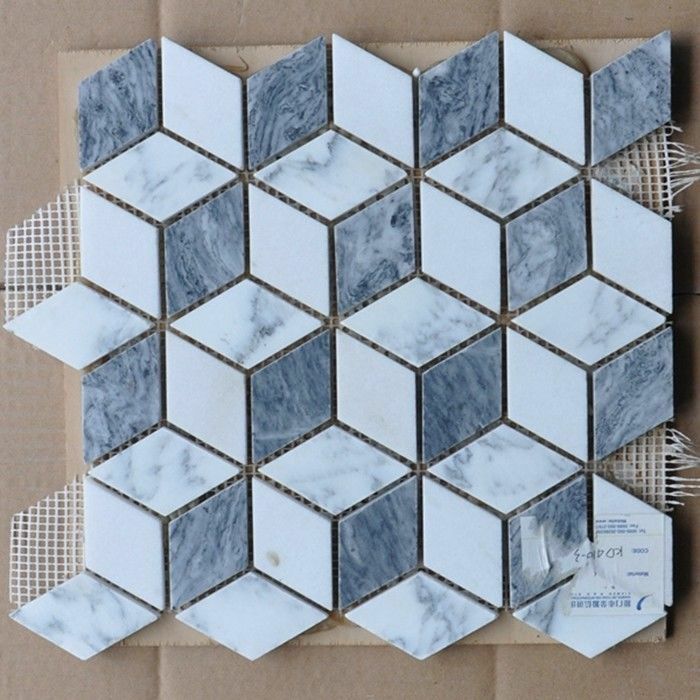 What Is our marble mosaic tile? 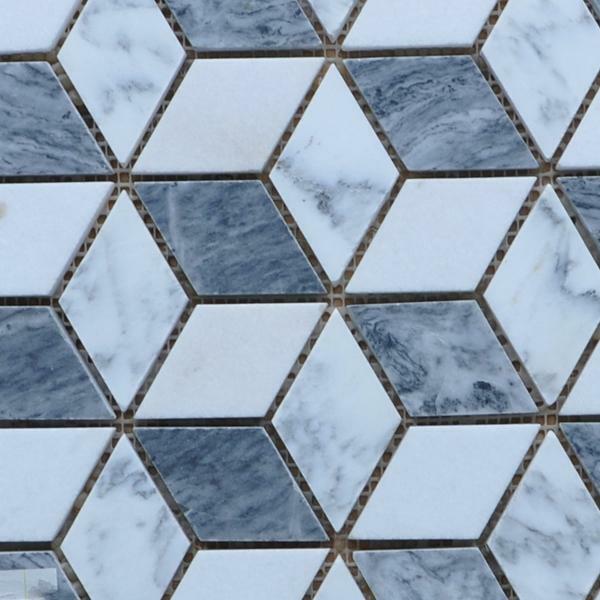 We stock a huge range of mosaic tiles including marble, sandstone, onyx and pebbles. All these products are available in a huge range of designs and colours including white, black, red, beige and onyx. Mosaic tiles have been used for thousands of years to create interesting and eye catching designs and have traditionally been made from stone or glass. There are many different ways to utilise mosaic tiles in your home for example if you wish to create a feature wall in a bathroom then mosaic tiles are the perfect solution. Other uses for mosaic tiles include floors, walls, splashbacks and wet rooms and then they also make great additions outside the home including swimming pools, pool decks and landscape design. We mainly deal in the export of building materials, such as slabs, tiles and premium mosaics made by granite, marble, slate, limestone, ceramic, glass etc. Noted for our delicate quality and professional service, we have been enjoying great customer relations and good markets in Europe, America and Austrilia etc. To insure the goods arrive our customers' hands in good condition, our professional team and QC department spare no efforts in every procedure, from material selecting and processing to packing and shipping. 08) Q. May I check the quality before the shipping? 09) Q: Is it possible to keep cargos as same color as sample?